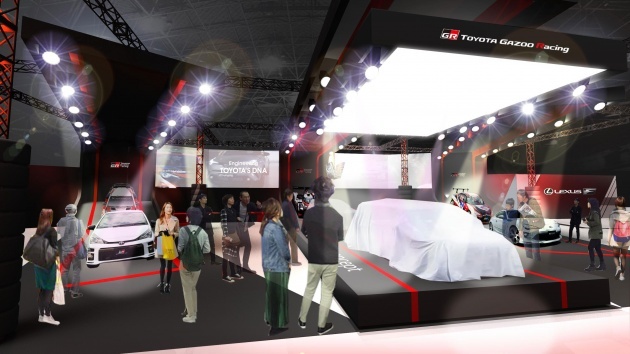 Toyota will be showcasing a range of Gazoo Racing vehicles at next year’s Tokyo Auto Salon in Janaury, one of which is a motorsport-derived concept called the GR Super Sport Concept. 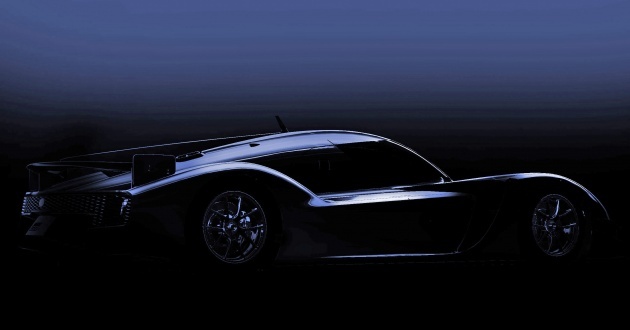 The teaser image shown here reveals what appears to be a road-going LMP racer, which isn’t surprising as the company says the concept originated from its participation in the FIA World Endurance Championship (WEC). While it may sport a low-slung profile, the concept doesn’t feature an aggressive aero package like what you might find on the TS050 Hybrid. Prominent cues include a long shark fin leading to a fixed rear wing and mesh grille. The latter is located close to what should be a diffuser with the badge on it. No mention of what will power the GR Super Sport Concept, but expect a mid-mounted engine augmented by hybrid tech. The car is meant to showcase “how technological feedback acquired through motorsports activities is incorporated” into a vehicle. The concept will join the Yaris WRC and TS050 at the event, along with a range of other production vehicles parked under the Gazoo Racing banner. These include the 86 GR and Vitz GRMN. As a reminder, Gazoo Racing vehicles are divided into different tiers, starting with GR Sport variants. These are followed by the mid-range GR models, and at the very top are the Gazoo Racing Masters of Nürburgring (GRMN) cars. It all sounds really nice, but where is the new Supra, Toyota? No point showing Malaysians your technology advancements and your concept vehicles TOYOTA. Reason, UMW TOYOTA only offer us old and obsolete models. Want our market share? Then change your TOYOTA official dealership in Malaysia and offer us latest models. If HONDA can do that, why can’t you? This is the problem when you give to UMW. They are gomen GLC. Lembap. KWSP owned UMW, Toyota here 2 stay. Toyota is the best! Go for it Toyota. This is why Perodua is doing so well with their new Myvi….it has a time tested Vios engine. Everybody buying Perodua because of this Toyota engine. Well done Toyota. Looking forward to your Gazoo racing cars in January! Inb4 Toyota bashers saying bad about this. Nobody in the right mind would be excited with “Gazoo”. What the heck does it supposed to mean anyway? This naming is one of the most illogical thing toyota has done. Lexus is great, Scion is a dud, Gazoo? Gazoo will fail spectacularly. Keep the TRD name. Nissan has no problems using Nismo names on high end supercars down to mundane serena MPVs, so why does toyota dumping the TRD nameplate? ?